picked up a shiny new '89 mr2 and thought i'd say 'hi' to all the aw11 owners here. it seems to run pretty well, biggest problem are the windows. i think the gears in them are shot and the driver's side window creeps down by gravity alone. the biggest hole i found was about the size of a nickel although i haven't taken the rocker panels off yet. visions of 20v swaps are swirling around my head but right now i'm going to work on getting it cleaned up. anyway, any of you guys (gals) have any tips on thinks to look out for, etc? Have not seen one of these in south Florida in ages ... are you planning on painting it? If it has a water-to-oil cooler make sure the two aren't mixing, T-tops leak, and see if it pops out of 5th when you shift into it from the redline in 4th and go back to full power...apart from that these things are pretty reliable, it's just the rust you have to look out for. The distributor is the engine's weak point. Curious what kind of MPG you see out of it. I think that description should be "shiny", but I still kinda like it. If it's relatively rust free do what can to keep it that way. One place to look is behind the front wheels around where the wheel well meets the rockers. This area accumulates all kinds of stuff and unless cleaned out will lead to rust. Of course. Nice pick up, love the MK1. Had 3 of them over the years. Check for rust in front of the rear wheel, that triangular shaped molding. Water likes to pool there. They are such fun cars for zipping through corners. They have their share of known issues (wiper switch, headlight motors, etc...), but the drivetrain is dead nuts reliable. If that front lip is an indication of the condition of the rest of the car, you're good. Mk1s always seemt to have ratty/torn front lips. I use the front lip, c-pillar trim and radio surround as a barometer for the rest of the car. If they're in good shape, it's probably a good one. I have found that racing them without oil in the motor will spin a bearing, but I don't think that is unique to the MR2. 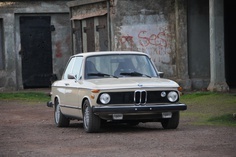 As for rust, mine was a Pittsburgh car and rusted everywhere, but the common areas seem to be around the rear wheels. both in front and behind. There are patch panels available for both areas. I found that my bumper internals were also toast, but an easy replacement. Front fenders are a bolt-in replacement IF you can find a set. They are becoming hard to find. Lift up the carpets inside to check the floors, especially passenger side. As for the motor, it is bulletproof (with oil inside, as previously mentioned) but could probably use a good flush of the coolant. Read how to do this because it is tougher with this setup and the bleed screws are plastic and can snap. With fresh plugs, a cold-air intake and a header, these engine easily make 300HP. Sorry, that was a typo, I meant 3HP more. OK, so they are not a powerful car, but the TVIS should kick in around 4500RPM. The system is vacuum-operated, so if you are not feeling a kick in that RPM range, check all of the vacuum hoses and maybe take off the TVIS plate and get the butterflies clean and moving freely. OH, did I mention keep oil in it? And there is an oil gauge on the dash. That should be looked at every once in a while. Like before you hit the track. Always good to see another aw11 on the board. Sounds like you're on the right track with addressing any existing issues. Engine-wise - aside from a distributor, an alternator, and routine maintenance, mine has really only needed work on a myriad of leaks. Which actually means I've had to replace just about every rubber piece and gasket on the engine, plus the brake and clutch hydraulics. So in other words, it's taken a lot of work but none of it was very expensive since I did it myself. Gaskets are cheap. Just a bunch of R&R to make sure everything kept fluids where they're meant to be. Also, all that work happened over the course of 7 years, so no biggie. They're almost 30 years old, so really anything is going to start leaking at that point. Just keep a close eye on the brake and clutch cylinders int he frunk. Obviously, when they start to leak they take the paint with them. PHeller wrote: Curious what kind of MPG you see out of it. I've gotten a solid 30-32mpg in the summer months, no matter how I drove the car. I used it for dd duty and it saw 5Krpm+ all the time. For the record, mine is an 86NA with 180K on a stock motor. Only mods to the car are the suspension and wheels. Also, I'll give the obligatory nod to mr2oc.com if you're not already aware of that forum. Those guys have been incredibly helpful to me online and off. Another thing you might attend to: if you're EVER going to take off the undercarriage plastic pieces spray something on the screws and bolts weeks before you do. Otherwise you'll break a lot of them and won't be able to put the plastic back on without drilling (and maybe cussing) a bunch. I did get around 36 mpg on mine, but that was mosting freeway driving. Any pics of the finished products? thanks for the feedback everyone. i hadnt heard anyone bring up the distributor so ill keep that in mind and read up on that. brake and clutch cylinders seem to be doing ok, will have to drain the fluid and clean the crud out. gundy, thats something for the future. im waiting for next payday to get registration and insurance. i was up in your neck of the woods saturday looking at another mr2. The distributor is the weak point on all the Toyota 4A-series, if you rev the engine high regularly they'll need a new set of bushings and seals maybe once every 3-4 years. If you're going with a standalone ECU consider a CoP setup, 1ZZ-FE packs are the usual candidate, they plug right in and you just need to make/buy a panel that goes in the valve cover valley to support them. And look for rust in the front luggage box. Pull the rubber carpet thing up and check. I think I still have a good dash and rear deck (trunk) lid. Ho Hum. 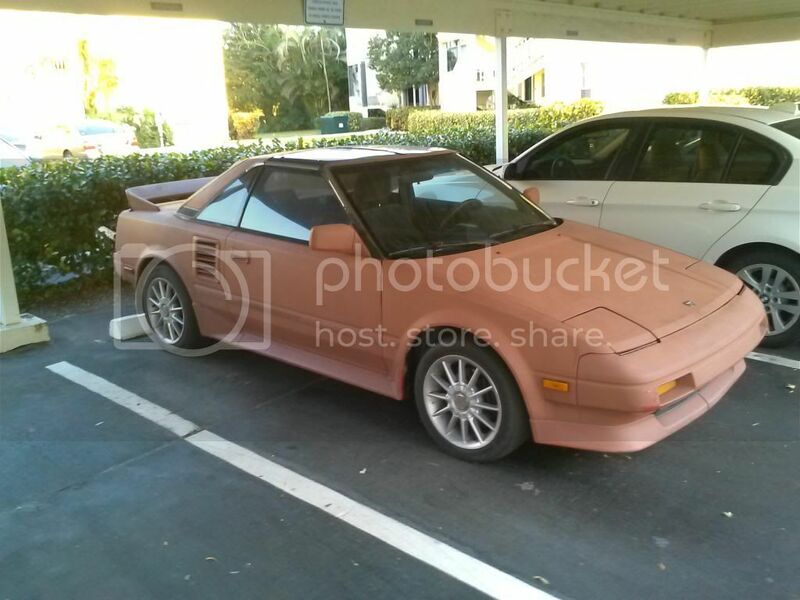 Another Mr2. Funny when I go to race my VW and meet up with my friend who races his Mr2 he is sometimes joined by 3 others! In our race group after the Miata the MR2 is the second most common model raced. Good car for ITB.